First, go to the PTIN system login page. On the top left side of the page under Returning User, enter your user ID and Password. Click sign in. Not a Returning User? Click here. On the Main Menu, next to PTIN Renewal, click Select and follow the prompts. 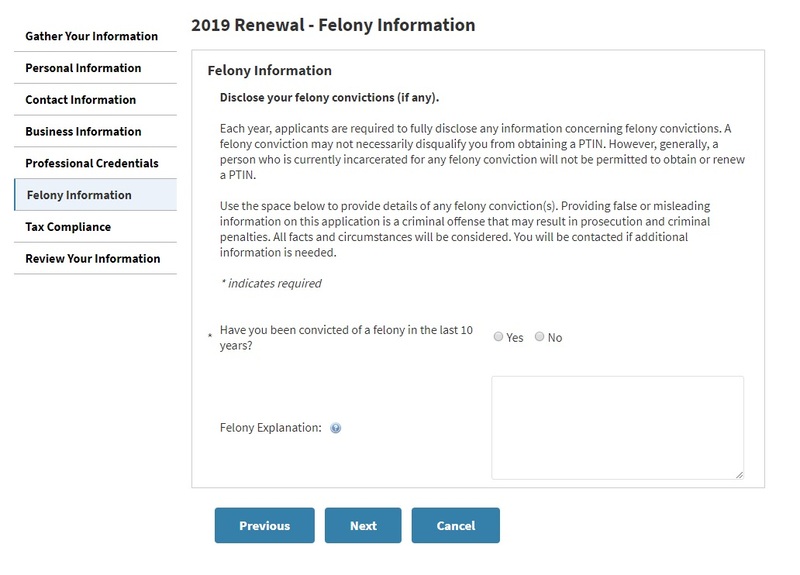 Unlike previous years, the application jumps to the Felony Information section. All information that preceded this section has been saved from older applications and can be edited by clicking the corresponding tabs on the left side. Click Next once you’ve made your selection on this section to continue. Next is the Tax Compliance section of the application. In this section the IRS is asking about your compliance with personal income taxes. Make your selection and continue. The last section of the application requires you to review and sign the PTIN application. Click Submit to continue. Once you have submitted your application you are provided with a PDF Summary Report. 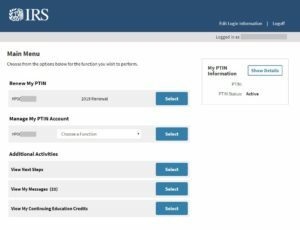 The PTIN and its updated expiration date are provided at the top-right corner of the Main Menu. A welcome letter containing your PTIN will be emailed to you within 24 hours. 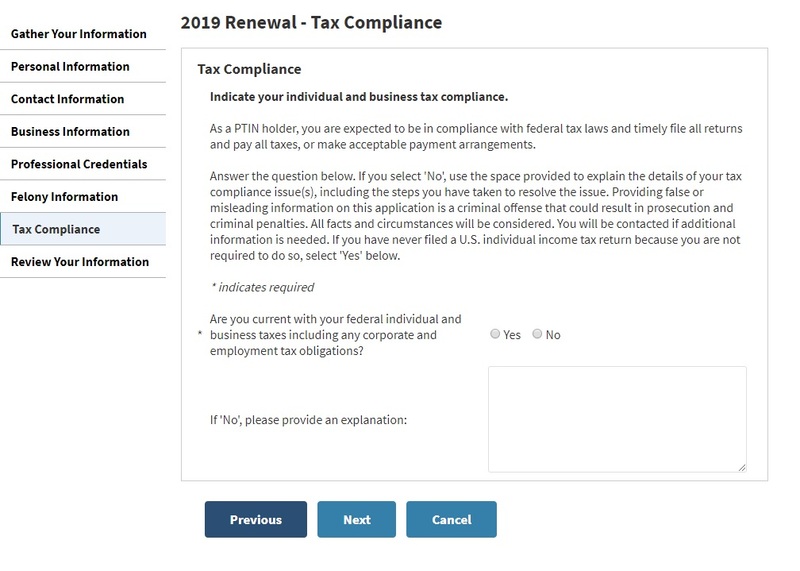 Six simple steps is all it takes to complete the PTIN renewal process. If you encounter any issues you can contact the PTIN Helpline at 877-613-7846. Comment below and let us know if you found this guide useful or if you have questions.